“This should be my village,” Meenal from Gujarat told Amma as she showed a poster she had made in one of the classes for Amrita Swasthya Mitr. Its message was how to take a holistic approach to improve villagers’ health. 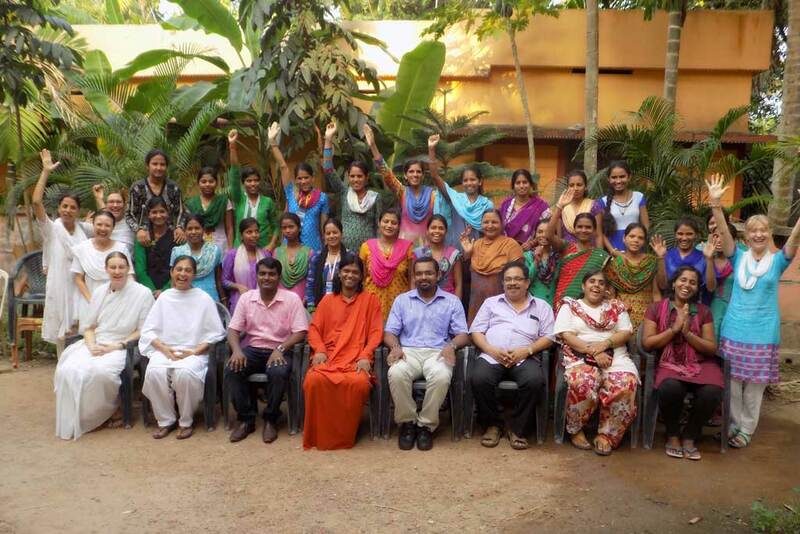 Along with Meenal, 23 other women from nine different states completed health worker training at the end of February 2016 in Amritapuri. The course was held partly in Njarackal, AIMS Hospital Training Centre, and organised by the Departments of Community Medicine and Community Nursing. Their goal is to spread awareness about health, hygiene, and prevention of diseases such as diarrhea and malaria. The course focuses on mother-child health care. All participants were women and had studied up to 8th, 10th or 12th Standards. Many of them were married and left behind children with their in-laws. Upon return, they are serving not only in their own villages, but also in neighbouring communities. The women spent four weeks studying how to identify health problems in the village. 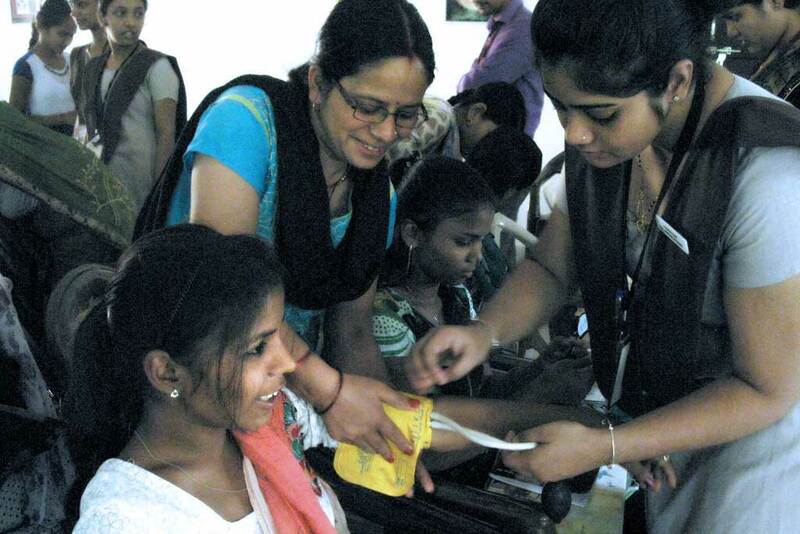 They attended classroom sessions on how to recognise diseases and how to practise first aid. They also studied the keys to prevention through methods such as handling drinking water safely, washing hands, and other hygienic practices. Ayurveda was introduced and included home remedies for minor conditions. They also learned effective ways to convey information about health. Through role playing, the women learned new ways to address difficulties in family affairs, such as drinking problems. They also made a visit to a primary health center and met an Anganwadi so they could make connections about with whom it is important to work. The women took part in Amala Bharatam, Amma’s cleanliness campaign aimed at cleaning India’s public places, and were taught how to spread awareness about sanitation in their villages, especially among children and youth. One of the key goals is to prevent many waterborne diseases. Two ladies, Mamta from Himachal and Mukeshi from Rajasthan, shared their insight on the need to know practical health care methods. Both of them heard about the training from their fellows, Amrita SeRVe staff who work in the villages, and made the decision to attend. Mukeshi, aged 22, points out the fact that the hospital is far away from her village and the roads leading there are in poor condition. “When calling an ambulance, it takes a long time for the vehicle to reach on time, especially for women who are delivering their babies,” explains Mukeshi. Mukeshi also wants to ensure that vaccines needed for both mother and child are available in her community. Before training, she did not know about health issues. She was grateful to learn about diseases and how to deal with them, along with checking blood pressure and sugar level. Mamta says that overall health is relatively good in her village. Fruits are available to get more nutritious food, though some tuberculosis exists. However, drinking alcohol and smoking are everyday habits for many men, and that causes difficulties in the family. She explained how some women formed a group to talk to one man with a drinking problem. They told him his behaviour was causing too many difficulties for his wife and children and were were able to convince him to reduce his habit. Thankfully, the atmosphere in that family got much better. Mukeshi mentioned that one of the first things she wanted to do was to start spreading awareness on nutritious food and healthy diet. Kitchen gardening was taught as one of the easiest methods to grow one’s own vegetables. Her plan was to start a group of women to share what she had learned among them. Another big concern for Mamta is that her village is not clean. Garbage is constantly thrown about on the main road. Mamta wants to create more awareness about this because it immediately affects health issues. Her plan is to gather the young people to explain to them how diseases can spread if waste management is not practised. 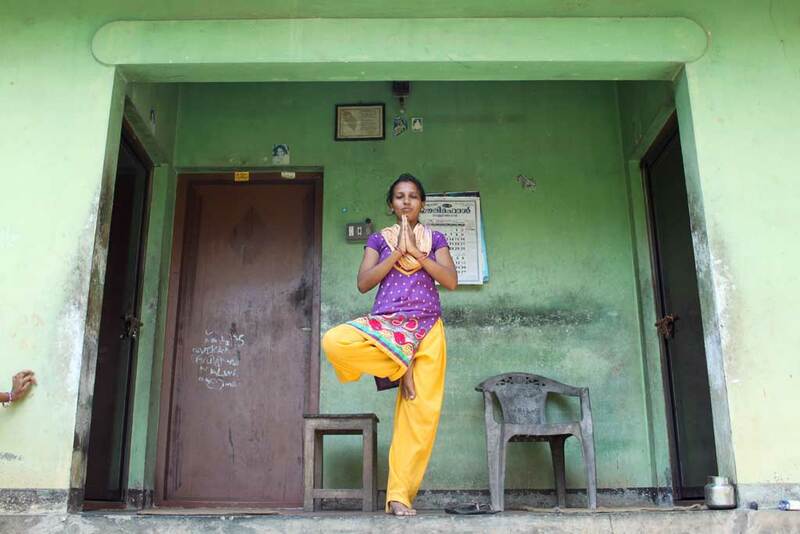 “What I want to see is that my village is clean and without diseases,” says Mamta.